TORONTO – Yorkville Village in collaboration with StART [StreetART Toronto] presented by AURORA and curated by Substance Art Collective has created a free public exhibit featuring one of Banksy’s most iconic pieces along side pieces from LA Artist RISK and local toronto artists. The Banksy piece featured is “HAIGHT STREET RAT” which was one of the pieces saved by art collector Brian Greif during Banksy’s “Tour de San Francisco in 2010. During Banksy’s time in SF he completed 6 large pieces, most of which would be tagged over, ro painted over by the city or building owners. This is due to a strict graffiti removal ordinance that requires building owners to paint over any graffiti on their buildings within 30 days, or be fined $500 by the City of San Francisco for them to remove it. The controversial nature of obtaining this piece would become the subject matter of the documentary “Saving Banksy”, which was also executive produced by Brian Greif. In “Saving Banksy” we see the struggles that Brian Greif went through to preserve this piece of art, so it could be appreciated by the public [The way street art is intended] and not just sold on the auction block, or worse yet painted over. Brian Greif to date has turned down countless offers to sell, with offers up to 3 million dollars. Banksy’s work generally revolves around themes of commercialism, political activism and social commentary. His pieces are created using multiple layers of stenciling and usually words. A few signature subjects would be gorillas, the royal family, children, police officers, and most commonly the rat. Banksy’s rats and chimps started popping up in Britain in the late 90’s, causing quite the stir and buzz around the artist. This would be the start of Banksy’s rise from street artist to one of the worlds most sought out cultural disruptors. Some of the works are also built around the existing features of the space, like one of his latest pieces in New York of a rat running along the inside of a clock on a building that is awaiting to be torn down. Another newer piece of social commentary street art by Banksy just popped up in New York. The piece is a statement for justice for turkish artist Zehra Dogan, whom has been imprisoned for 3 years for a piece of art she did depicting the Turkish city Nusaybin destroyed by state police. The piece Banksy does depicts tally marks stretched across a 70 foot wall, each tick representing a day she has been imprisoned for. Zehra is also depicted behind one of the sets of tickmarks, with the one on the furthest left changed into a pencil which she is holding. Banksy posted an image of it to instagram and his website, the only platforms he loads his work to for authentication purposes, with the hashtag #FREEzehradogan below the photo. While Banksy is known best for his stenciled pieces and unique installations, over the last couple years he’s worked on a couple large scale projects including the dystopian theme park Dismaland in 2015, and his latest The Walled Off Hotel in Bethlehem. Dismaland was briefly open in 2015 for 5 weeks, touting itself as “The UK’s most disappointing new visitor attraction”. Banksy’s Dismaland had several themes for the park, none of which included happy mouses in suspenders, but did include impossibly hard carnival games (not such a stretch from the real world), a functioning carousel and ferris wheel and a small theater that looped short art films 24 hours a day. The park also included 10 original banks pieces as well as pieces from 58 prominent international artists like Damien Hirst, Kate McDowell and Dietrich Wegner to name a few. The Walled Off Hotel is the latest fully functioning installation completely bank rolled by Banksy himself. The hotel offers bespoke rooms at various price points from “budget” to “artist”, a museum, a gallery (with pieces from the most prominent palestinian artists of the last 20 years) a gift shop where only hotel guests can shop souvenirs created by Banksy for The Walled Off hotel. The hotel even boasts some incredible entertainment residency’s, upcoming ones include Flea [Red Hot Chilli Peppers], Hans Zimmer and Trent Reznor [N.I.N]. 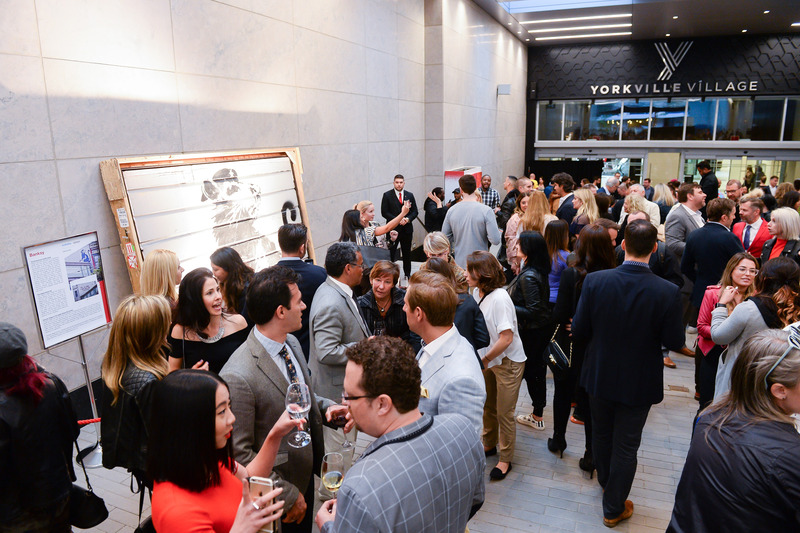 Celebrated LA Artist Risk (Who is also seen in the documentary, “Saving Banksy”) was also in attendance for the opening party at Yorkville Village on tuesday night. 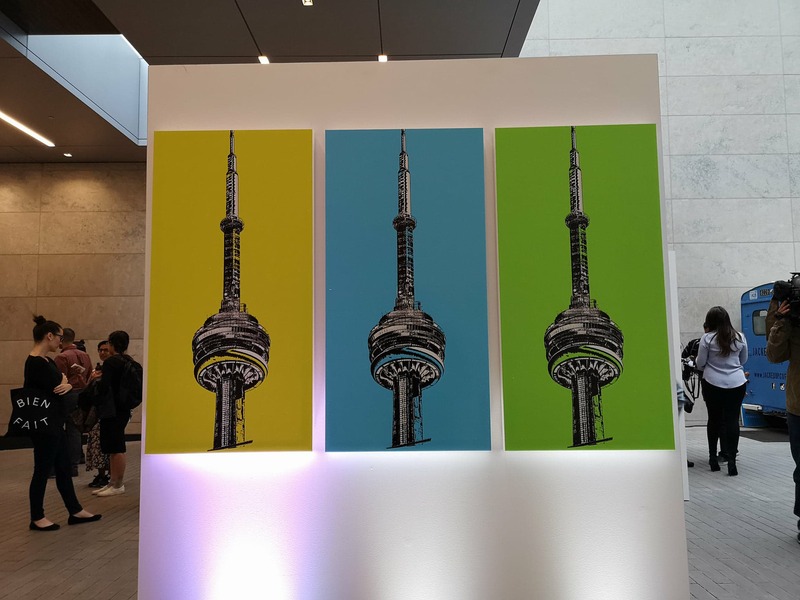 RISK was there showing some of his pieces alongside local Toronto street artists kevkav, Alexander Bacon, Hello Kirsten, Anthony Ricciardi and Dani Cooperman. For those of you looking to get your hands on a Banksy for your foyer, there will be a few exclusive pieces available for sale, although Haight Street Rat is not one of them. 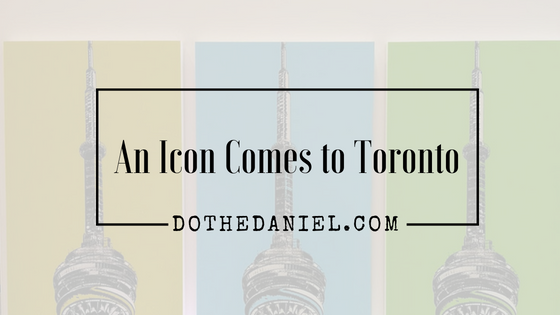 If you’re in the Toronto area this week i strongly encourage you to check out the exhibit, this is definitely something you would Haight to miss. Follow the Saving Banksy Toronto Exhibit @SavingBanksyCanada on social through the hashtag #savingbanksyTO.